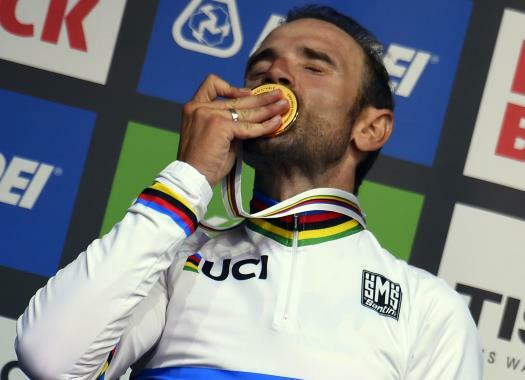 Alejandro Valverde (Movistar) has taken the victory at the Le Tour de France Saitama Criterium. The World Champion crossed the finish line ahead of Geraint Thomas and Yukiya Arashiro. A peloton of 53 riders started at the sixth edition of the race and they went through 19 laps in a 3.1-kilometre circuit. There were several attacks from the start of the criterium and Vincenzo Nibali (Bahrain-Merida) showed to be one of the most active riders, but a pack pulled by Katusha-Alpecin and Movistar didn't allow a gap bigger than 15 seconds. Mitchelton-Scott's Matteo Trentin attacked with 40 kilometres to go and was joined by Alexander Kristoff (UAE Team Emirates), Nibali and Yusuke Hatanaka (Ukyo). Kristoff won the intermediate sprints, Nibali took the mountain points and Trentin was chosen the most combative of the race. With 19 kilometres to go, the peloton caught the escapees but four kilometres later, 2018 Tour de France's Geraint Thomas (Sky) attacked and was followed by Nibali, Alejandro Valverde (Movistar), Yukiya Arashiro and Fumiyuki Beppu (TDF Japan Team). This group arrived together to the finish line and Valverde won the race one month after taking the victory at the World Championships. "It’s great, it’s my first victory with the rainbow jersey," said Valverde at the end of the race. "It’s always nice to raise your arms and especially here with the great fans we’ve had today in Saitama. I came to enjoy myself and the public was perfect. I will leave Japan with great memories. We want more races here!"